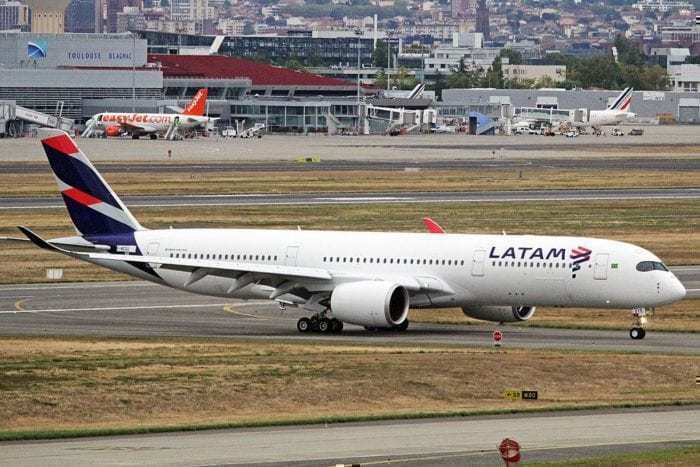 Last year, South American carrier LATAM airlines group, announced it would be investing US$400 million in overhauling its cabins by retrofitting more than 200 aircraft across its fleet. 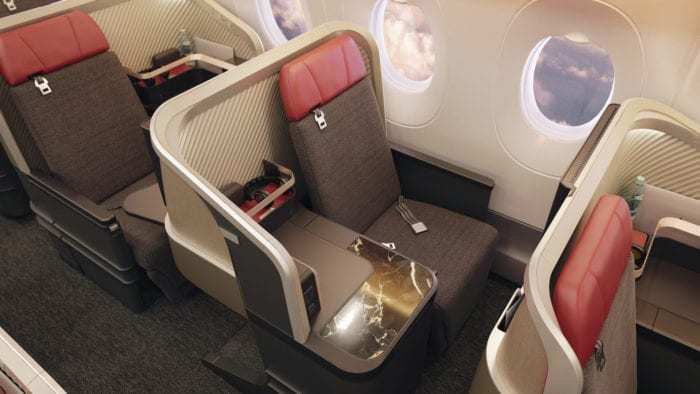 The much awaited cabin updates, including the debut of their new Thomson Vintage XL Premium Business seat, were unveiled last week. However not all wide-body aircraft will have the new Premium Business product. 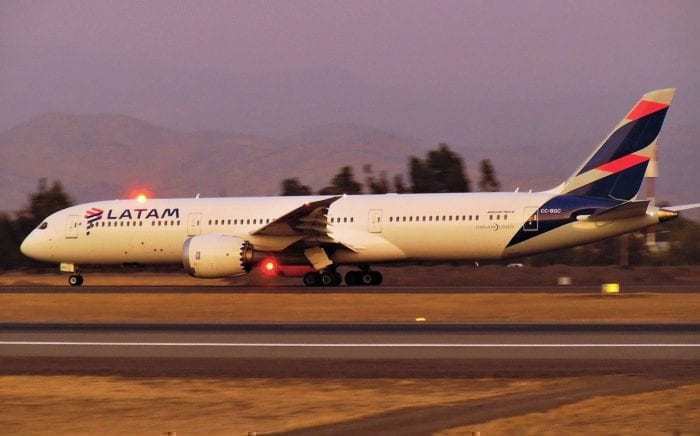 The first long-haul retrofitted jet, a LATAM Peru Boeing 767-300ER registered as CC-CXC, was debuted last week at the airline’s hub in Lima, where local and international press were treated to a special flight. For the first time in South America, the flight path drew the shape of an aircraft, to further commemorate this special event that marks a milestone for the largest carrier in the region. The new Premium Business cabin features 18 Thompson Vantage XL seats. These are configured in staggered 1-2-1 configuration offering direct aisle access and greater privacy for passengers. In addition, the new business class product features larger Panasonic inflight entertainment screens sized at 18 inches and new bedding. Further back, the economy cabin seats 218 passengers in a standard 2-3-2 configuration. The forward section features LATAMs new extra legroom economy product branded LATAM +, with 35 inches of pitch. The new service protocol revolves around suiting the needs of the modern business traveler. Sender outlined how these types of passenger look to maximize work or sleep in flight. This also means offering greater flexibility to allow passengers to take control of their flying experience. To meet those needs, the new service includes offering lighter meal options and having fewer service interruptions during the flight. As such, passengers can indicate if they wish to be interrupted for service via the inflight entertainment screens. Which aircraft will feature the new Premium Business seat? Currently, LATAM is retrofitting their Boeing 767-300ERs, expecting to finish them by the end of the year. This aircraft fly to destinations such as Miami and Los Angeles in the USA, as well as Madrid and Barcelona in Spain from the airline’s base in Lima. In addition, the Boeing 767 also serves some destinations throughout the region such as Santiago, Buenos Aires Ezeiza and Sao Paulo Guarulhos. Unfortunately the aircraft which have the new cabins are not assigned to particular destinations, but rather fly across LATAM Peru’s network. In this way, is not possible to find out if you are flying the new product until closer to the date of the flight. Soon flyers will also find the new Thompson Vantage XL Premium Business seats onboard LATAM Brazil’s Boeing 777-300s. The new 1-2-1 configuration represents a huge upgrade over the current angle flat business class configuration in a 2-3-2 layout, which is way past its time. Retrofits will begin in the next couple of months. LATAM flies their Boeing 777-300s from its hub in Sao Paulo Guarulhos to Madrid, London Heathrow and Frankfurt, as well as Miami in the USA. Unfortunately, not all aircraft across LATAM’s long haul fleet will get the new Premium Business cabins. 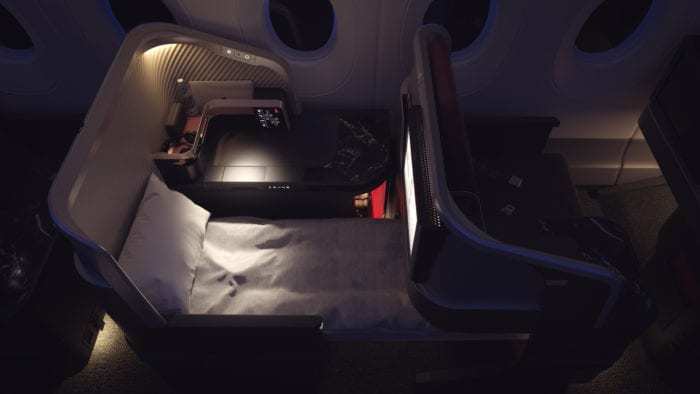 The South American airline has confirmed they will not be retrofitting any of their current Boeing 787 and A350 fleet as their interiors are still relatively new. The Boeing 787s are based in Chile, made up of 10 Boeing 787-8s and 14 Boeing 787-9s; while their nine A350-900s are based in Sao Paulo Guarulhos. LATAM Boeing 787-9 parked at Santiago International Airport. Photo: SkycoreSCL via Wikimedia commons. Additionally, LATAM has not commented on whether they will retrofit the cabins on LATAM Brazil’s Boeing 767s. These aircraft have newer interiors similar to those found on the Boeing 787s. These newer Boeing 767s fly from Sao Paulo to some secondary European markets for the airline such as Rome Fiumicino, Milan Malpensa and Lisbon, as well as to Johannesburg in South Africa. Having different cabin layouts will generate consistency problems across their Premium Business product. On one hand, some aircraft will feature an industry leading hard product that offers direct aisle access. On the other, some aircraft will continue flying with standard forward facing seats in a 2-2-2 configuration. Additionally, standard configured aircraft have some differences across the fleet. While Boeing 787-8s feature orange forward facing standard seats, the Boeing 787-9s feature slightly different seats, sharing the same product used by Turkish Airlines in their Boeing 777-300ERs, LOTs Boeing 787s and Ethiopian Airlines in some of their older Boeing 787-8s. However, the group’s A350-900s feature an updated version of seats found in both Boeing 787 variants, with higher resolution IFE screens and enhanced seating controls. The carrier’s A350-900 seats a total of 348 passengers in a two class configuration. Premium Business offers 30 seats and economy 318. LATAM Brazil flies its newest Airbus widebody to destinations such as Madrid, Barcelona and New York JFK from its hub in Sao Paulo Guarulhos. For now, premium passengers onboard the airline’s Boeing 767-300s flying from Peru, Ecuador and Colombia and those onboard LATAM Brazil’s Boeing 777-300s will be in for a nice upgrade in their flying experience. However, those flying on the Chilean based Boeing 787s or Brazil based A350s, will continue to experience their current standard Premium Business product, which doesn’t have direct aisle access and offers less privacy. The good news is that LATAM will receive two additional Boeing 787-9s by the end of the year, which will also feature the new Premium Business product. So will the eight A350-1000s that were ordered by the group. So, before you book your flight you might want to make sure which aircraft you’re scheduled to fly on. Do you want to step onboard LATAMs new Premium Business cabin? Drop us your thoughts in the comments!